He became obsessed with fish during his early childhood and carried this passion with him throughout his career. 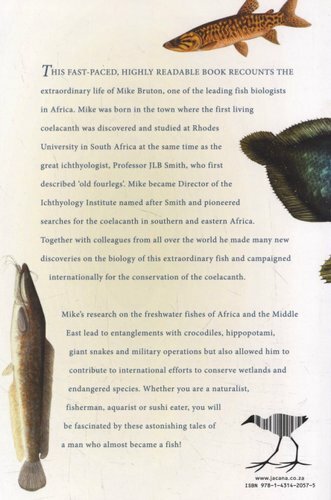 Mike Bruton was born in the town where the first living coelacanth was discovered and studied at Rhodes University in South Africa at the same time as the great ichthyologist, Professor JLB Smith, who described ‘old fourlegs’. He subsequently became Director of the Ichthyology Institute established in Smith’s name and pioneered searches for the coelacanth off the coast of southern Africa and in the Western Indian Ocean using the German research submersible, ‘Jago’. Together with colleagues from South Africa, the USA, Canada and Germany he made many new discoveries on the biology of this extraordinary fish and campaigned internationally for its conservation. Mike’s research on the freshwater fish of Africa and the Middle East lead to entanglements with crocodiles, hippopotami, giant snakes and military operations but also allowed him to contribute to international efforts to conserve wetlands and endangered species. He also made major contributions to our understanding of the ways in which fish are adapted to their watery environments and how they made that epic evolutionary transition from water onto land. 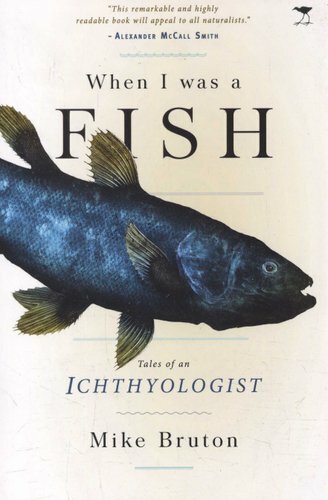 Whether or not you are a fisherman, aquarist or sushi eater, you will be fascinated by these astonishing tales of a man who almost became a fish!